Most astrological practitioners agree that gems should be used to enhance a person’s good (anukul) planet, but some are unsure what should be done to appease harmful (pratikul) planets. We began searching the ancient esoteric books for the preferred method by which jyotish quality gems could be used to appease debilitated or otherwise harmful (pratikul) planet(s), and found that there is indeed one method that has been prescribed. It is the practice of Ratna-Arpana, or DONATING a fine gem for a harmful planet to a specified recipient at a specific time with a specific seed mantra. Using this system greatly simplifies the prescription of jyotish gems: For a good (anukul) planet, a gem is to be accepted (worn) For a bad (pratikul) planet, a gem is to be donated (given away) It is amazingly simple – gems are appropriate in all cases, but must be used in entirely different ways. Everyone already understands that gems for favorable planets are to be worn, but were uncertain what should be done to appease harmful planets. The ancient texts point the way – donate the gem to a specified recipient, and solve the problem of the harmful planet. Propitiation of the Sun (Sunday). Donate a ruby (or another fine red jewel like red spinel) to a middle aged male government leader at 12:00 noon on a Sunday, while reciting Surya seed mantra: Om hram hrim hraum sah suryaya namah. —7 times. 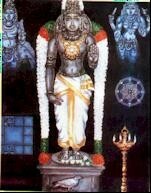 The planetary deity Surya is pleased increasing courage and notoriety. 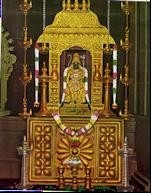 Relief from any solar problems caused by Surya, the Sun, when he is ill placed. Propitiation of the Moon (Monday). Donate a pearl (or moonstone) to a female leader on Monday evening, while reciting Chandra seed mantra: Om sram srim sraum sah chandraya namah —11 times. The planetary deity Chandra is pleased increasing mental health and peace of mind. Propitiation of Mars (Tuesday). 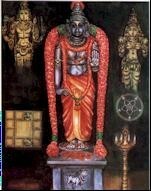 Donate a red coral to a celibate on Tuesday at noon, while reciting Mangala seed mantra: Om kram krim kraum sah bhaumaya namah —19 times. 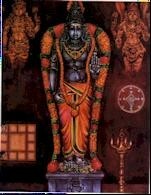 The planetary deity Mangala is pleased increasing determination and drive, and protecting one from violence or injury. Propitiation of Mercury (Wednesday). Donate emerald (or another fine green gem like tourmaline) to a poor student on Wednesday at noon, while reciting Budha seed mantra: Om bram brim braum sah budhaya namah — 9 times. The planetary deity Budha is pleased increasing health and intelligence. Relief of nervous complaints caused by an ill placed Budha-grahadev. Propitiation of Jupiter (Thursday). Donate yellow sapphire (or another yellow gem like yellow topaz) to a brahmin (Vedic priest) on Thursday morning, while reciting Guru seed mantra: Om gram grim graum sah gurave namah — 19 times. The planetary deity Brihaspati is pleased increasing satisfaction and facilitating marriage and childbirth and family harmony. Reduction in diseases caused by an ill placed Jupiter. Propitiation of Venus (Friday) . Donate a diamond (or another colorless gem like quartz crystal) to a poor young woman on Friday evening, while reciting Shukra seed mantra: Om dram drim draum sah shukraya namah — 16 times. 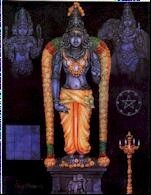 The planetary deity Shukra is pleased increasing riches and conjugal bliss. Also a reduction in diseases caused by an ill placed Venus. Propitiation of Saturn (Saturda y). Donate a blue sapphire (or another blue to purple gemstone like amethyst) to a poor man on Saturday evening, while reciting Shani seed mantra: Om pram prim praum sah shanaisharaya namah — 23 times. 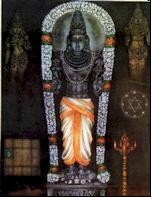 The planetary deity Shani is pleased insuring victory in quarrels, over coming chronic pain, and bringing success to those engaged in the iron or steel trade. 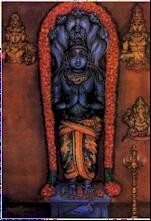 Propitiation of Rahu (Saturday) . Donate a hessonite (or another fine orange garnet or zircon) to a leper on Saturday, two hours after sunset, while reciting Rahu seed mantra: Om bhram bhrim bhraum sah rahave namah — 18 times. 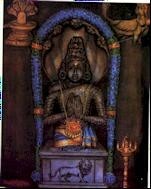 The planetary deity Rahu is pleased granting victory over enemies, favour from the King or government, influence over the masses, and reduction in diseases caused by Rahu. Propitiation of Ketu (Thursday). Donate a cat’s eye gem to a poor young man on Thursday at midnight, while reciting Ketu seed mantra: Om sram srim sraum sah ketave namah — 18 times. 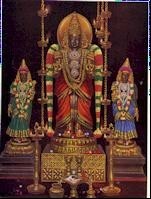 The planetary deity Ketu is pleased granting victory over enemies, favour from the King or government, and reduction in diseases and mysterious troubles caused by an ill placed Ketu.